Michael Gene Spehar, 68, of Duluth, Minnesota died on Thursday, August 16, 2018 at Solvay Hospice House, after a courageous 1 year battle with cancer. Mike was born on July 7, 1950 to Joseph & Clementine (Talerico) Spehar. Growing up in Morgan Park, he was the youngest of 4 siblings. He graduated from Morgan Park High School, class of 1968. From there he graduated from the University of Minnesota – Duluth, with a degree in teaching. After college, Mike went on to work at Tower Sports in Superior, Wisconsin & then moved on to selling insurance. He worked at Cartier Agency in Duluth for 35 years, before retiring in 2014. Mike married the love of his life, Judy Berg, in April 1978, after having met on a blind date. They celebrated their 40th wedding anniversary earlier this year. They raised their 3 children in Duluth. He was his children’s biggest fan in his kids’ sports programs and loved coaching. Mike was very involved in the community. He was very committed to the Boys & Girls Club, having served on the Board of Directors. 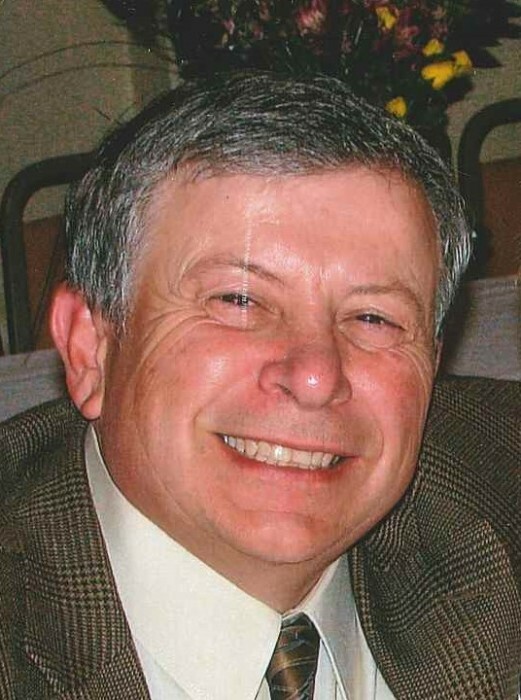 He was the past president of the Zenith City Men’s Golf Club at Enger Park Golf Course, a member of the Italian-American Club and the Knights of Columbus of St. Joseph’s Church. He loved playing & watching golf, hockey, lunches with his friends and spending time with his family. He played basketball (“B-ball”) every Monday & Wednesday, and continued to play even after his diagnosis. They had a comradery that he couldn’t resist. The highlight of his week was his Wednesday Golf Group, which would travel weekly to area golf courses. Mike’s family was his whole life. Mike’s wife, kids & grandkids loved & cherished him as much as he did them. He was also blessed with a very close bond with his siblings. He was a kind man and loved spending time with all of us, but we were truly the lucky ones. He is preceded in death by his parents. Mike is survived by his wife, Judy; children, Amy (Jeremy), Scott (Ketti), and Sarah (Tim); grandchildren, Easton, Cooper, Ian, Morganna, Wesley & Wynnie. He is also survived by his siblings, Patricia Scott, Gerald (Kathy) Spehar & Richard (Cathy Eliason) Spehar, and many nieces, nephews & extended family. Heaven gained the most endearing, sweet, compassionate, funny & faithful angel. We will miss his love, his zest for life, his smile, his pasta, his movie quotes, his everything. Visitation 5-7PM Wednesday August 22, 2018, at St. Lawrence Catholic Church, 2410 Morris Thomas Road, Duluth. Visitation continues from 10AM until the 11AM Mass of Christian Burial Thursday August 23, 2018 at St. Lawrence. Inurnment at Oneota Cemetery. Arrangements by Williams-LobermeierBoettcher Funeral Home.